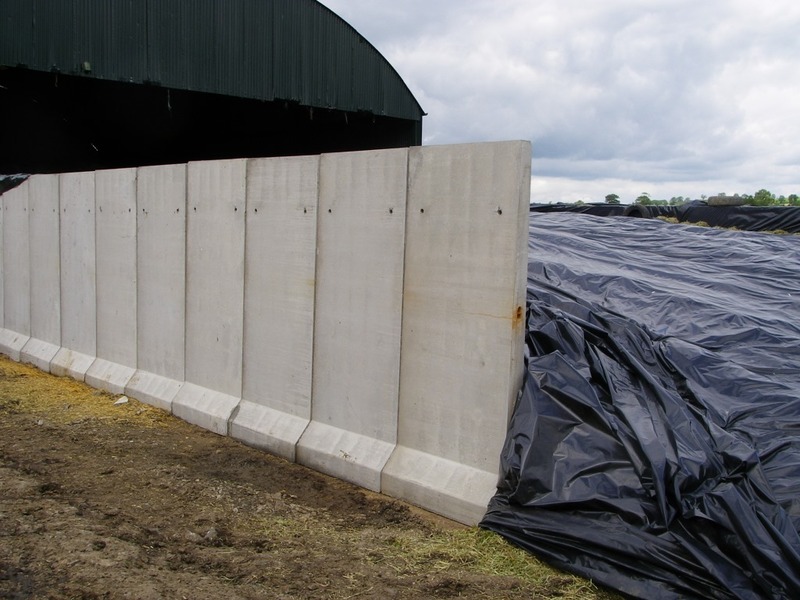 If you’re thinking of constructing a silage clamp, one of the main concerns you’ll have is how to form the walls that pen the area in. While there are a few different options, perhaps the most popular – and the most effective – are precast concrete panels, thanks to their high strength and durability, with the ability to withstand heavy bumps and knocks from the machinery that will invariably be going in and out on a regular basis. Precast concrete panels can come in a variety of sizes, including taller ones for use with anaerobic digestion plants. Most people opt for a height of 3.2m though, which strikes just the right balance between effectiveness and cost. It should also be noted that precast concrete panels of all sizes will be able to withstand the pressure exerted on them when silage is packed against them, providing they are installed by a professional. There are two main types of precast concrete panels, and they both have their different advantages. Therefore, it is important to understand these two varieties, and then pick the one that’s suitable for your project. A professional will be able to guide you in this decision. Horizontal concrete panels are supported by steel columns. In layman’s terms, the steel columns are laid to either side of the panels, supporting them from both sides, and there is no need for any other type of support, such as continuous strip foundations. Should this silo be constructed within a barn, the existing steel framing can be used as the support, which can make this a cost effective solution. Horizontal concrete panels come in a variety of different lengths, and all are prestressed to ensure their strength and durability. They also come in a range of thicknesses, each specifically designed for a certain job. One of the most highly-prized advantages that this system brings is the ability to construct slightly raised walling, therefore allowing effluence to drain away from the silo, while also maintaining a secure perimeter. This type of precast concrete panel clamp is constructed using a trench system. The panels are placed into the trench, before then being secured by cradles and reinforcing bars. It’s the perfect system for these who might want to expand their silo in the future, as adding new panels is really easy. What’s more, it can take strain on either side of the wall, therefore protecting against accidental loading on the wrong side of the clamp. In terms of thickness, it is generally accepted that 145mm and 180mm panels are best for vertical cantilever walls. This type of panel also comes in a variety of heights, with the largest being around 8m. Therefore, they’re a good choice for larger clamps, which will hold a huge amount of silage. Of course, it goes without saying that design should comply with BS5502 part 22 though, however all good construction companies will ensure that this happens. Creating the perfect clamp is an important job, as well as one that can be rather expensive. This is why a professional company should always be employed to handle the construction.